Spectacular Seven is a Destination Imagination team who is representing California in the Global Finals. And, how did they make it there? With the help of coding. Spectacular Seven, a group of seven girls, have been working hard to get to this level of intensity at Globals. The team members are Anushree, Tvisha, Reva, Evani, Keerthana and the blog writers of this article, Anwesha and Sanjana. Well, what is Destination Imagination anyway? This is a non-profit organization that promotes creativity, out of the box thinking, teamwork, and the mixture of art and technology. Spectacular Seven has done this to the very most, and, to do this, they needed to excel on their Main Challenge and Instant Challenge. The Instant Challenge is an task-based or performance-based challenge. This requires teamwork and quick thinking. The team will receive the challenge on the tournament day, and the challenge is unknown to them. The Main Challenge is an challenge that the team has prepared for a year. In our case, our challenge is the Scientific Challenge. We solved this by creating a skit in which two girls from two enemy kingdoms communicate through codes in order to solve the problem. The problem is that a Scimag Disease is troubling both kingdoms. They then solve the problem while finding the serum, which was hidden in a gingerbread house. When the actor touches the door, something amazing happens: The power of code! Makey-Makey and Scratch work together to create a wow factor for our skit, which has taken us to the Globals Finals of Destination Imagination. 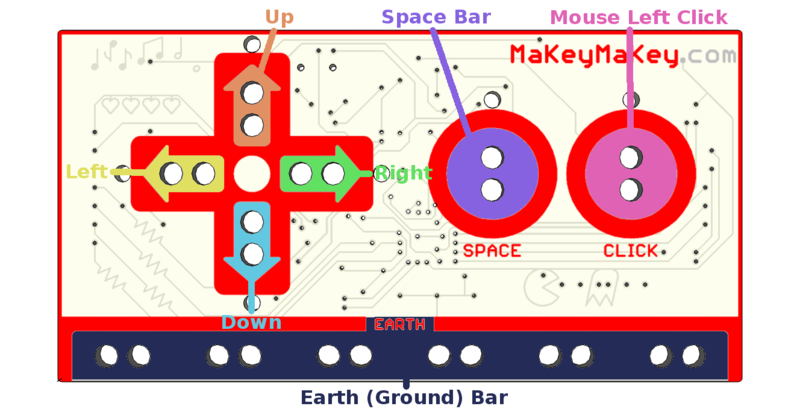 Well, how did this Makey-Makey and Scratch work together? We recorded words in Scratch and coded it, so that when a specific key was pressed, you could hear the recording. We did this by connecting alligator clips to the Makey Makey motherboard, then, we connected the computer to the Makey-Makey board with a USB cord and that completed the circuit. Now, when you touch both earth (in the program) and an alligator clip, the Scratch recording turns on. So, TA-DA!!!!!! Coding on Scratch and Makey- Makey saved the day! We are happy that we got the power to learn coding with the help of the skills from TriValley Coderdojo! May 24, 2017 in youth post. What an amazing and creative team- great job!